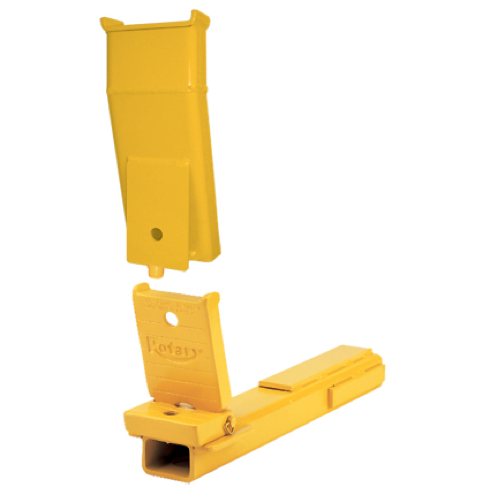 Rotary® SPOA10 Certified Overhead 2-Post Lift - Derek Weaver Company, Inc.
1) Made right here in Madison Indiana USA. 2) The SPOA10 is the World's #1 selling asymmetric 2-post lift model (it's popular). 3) Manufactured and Certified by the largest lift company in the world, the fortune 500 Dover Corp. (there's no lift company above them). FREE SHIPPING current availability from Madison, Indiana only, expect 7-12 days before shipping. Local sales tax will apply. The SPOA10 is an true asymmetric rotated column design with standard 2-stage arms and flip-up FA adapters. The column is well known as the original "Double S" design for incredible strength and durability. 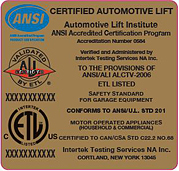 The SPOA10 is ALI Gold Certified and tested beyond 20,000 cycles (other lift companies don't do this). THE INDUSTRY STANDARD For over 30 years, Rotary has engineered asymmetrical lifts with the quality and attention to detail that can’t be found anywhere else. The SPOA10 is manufactured by the VSG subsidiary of the Fortune 500 Dover Corp. (NYSE:DOV) Based Here, Certified Here and Insured Here in the USA. VSG/Dover is the Largest Lift Manufacturer in the World and enjoys over 80% marketshare of the car dealer business in this country. Why? Because they take care of business, before, during and especially after the sale. You simply cannot get the "Peace Of Mind" from any other lift manufacturer that you have when you own a VSG/Dover product. Parts, Warranty and Support remain unmatched in this industry. VSG/Dover backs their products with a great warranty and support team that no other lift company can come close to. The majority of car dealers know this and enjoy the "Peace of Mind" that comes with owning a VSG/Dover product. The VSG/Dover has the largest parts investment in the lift business. The parts inventory/delivery system is a 7 Tower REMSTAR computerized storage system worth over 7 million dollars. This parts system rivals that of most car companies. Their commitment to the customer cannot be matched. The SPOA10 has a 5-Year Structural Warranty and a 1-Year Parts & Labor Warranty. 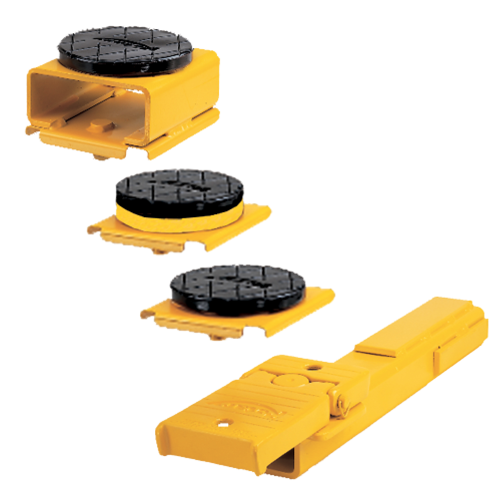 Flip-Up Adapters provide 3 steps at 4 3/4", 7" and 10 1/4"
Overall Floor Width: 11' 5 3/8"
Overall Height: 11' 8 1/2"
MIN. Floor to Ceiling Height: 144"
Floor to Overhead Shut-Off Switch: 11' 2 3/4""
Lifting Height 72 3/4"-78 1/4"
Low Pad Height: 4 3/4"
Low Step Pad Height 7"
High Step Pad Height 10 1/4"
Width Between Columns: 107 1/4"
Cylinder height 11' 10 1/2"
The SPOA10 is proudly manufactured by Dover Corp.'s Vehicle Service Group (VSG). VSG comprises nine major vehicle lifting and collision repair brands: Rotary Lift, Chief® Automotive Technologies, Forward® Lift, Direct-Lift®, Weaver® Lift, Hanmecson®, Revolution®Lift, Elektron, Blitz® and nogra®. Based in Madison, Ind., VSG has operations worldwide, including ISO 9001-certified manufacturing centers in the U.S., Europe and Asia.